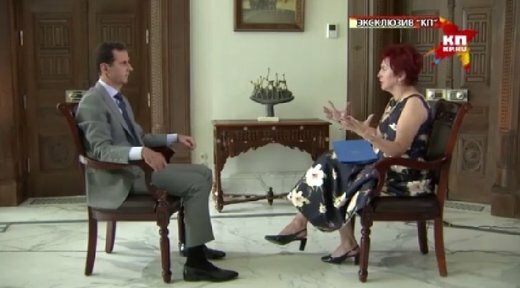 12 October President of the Syrian Arab Republic Bashar al-Assad gave an interview to reporter of "Komsomolskaya Pravda" Daria Aslamova. We offer the full version of the interview.Question 1: Thank you very much, Mr. President. It's a big happiness for me, and I'm very proud. Okay, I will start from my questions. The situation in Syria become more dangerous and more unpredictable. Why? Because this conflict draws inside more participants and more players. For example, who do we have now in Syria in the war? Iran, Lebanon - I mean Hezbollah - Russia, Turkey, USA's huge coalition, China shows interest. I mean, do you have any concerns that this conflict results in a third world war, or maybe it's already beginning of third world war. President Assad: If we want to talk about the problem, we have to talk about the crux of the problem, the source of the problem; it's the terrorism. And no matter who's interfering in Syria now, the most important thing is who is supporting the terrorists on daily basis, every hour, every day. That is the main problem. If we solve that problem, all this complicated image that you described is not a matter... I mean, it's not a big problem, we can solve the problem. 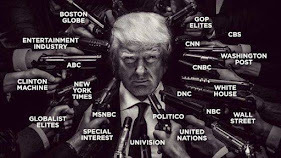 So, it's not about how many countries interfering now, it's about how many countries supporting the terrorists, because Russians, Iran, and Hezbollah are our allies, and they came here legally. They support us against the terrorists, while the other countries that you describe who are interfering, they are supporting the terrorists. So, it's not about the number, it's about the main issue that is terrorism.